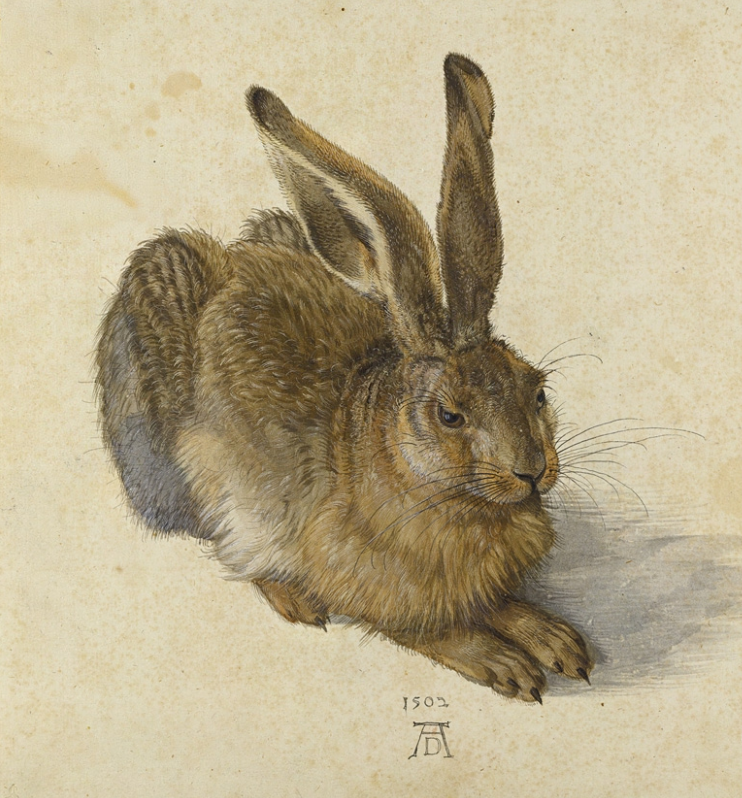 The work at the very heart of the Albertina, Dürer’s famous 'Hare', can only be shown every few years. Duke Albert of Saxe-Teschen received it in 1796 as part of an exchange of artworks with Emperor Francis II. 'Hare' is still regarded as one of the most important artworks of the collection on account of its extraordinarily realistic depiction. Remarkable, too, that the provenance of the drawing can be followed back without interruption to Dürer’s workshop, the windows of which can be seen upon closer examination reflected in the eyes of the depicted hare.